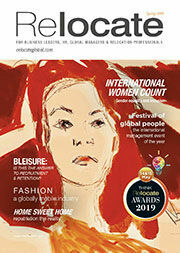 This article is taken from the latest issue of Relocate magazine.– the must read for HR, global managers and relocation professionals.At Relocate Global we are passionate about connecting our audience of HR and global mobility professionals and international managers with schools across the UK and internationally. On 14 & 15 May we are holding the Festival of Global People at the St Pancras Renaissance Hotel in the heart of London’s tech district. This is your chance to have your say about education and the workplace.You will also find out about education and top schools in the UK and globally, and discover how you can support relocating families on domestic moves or moving on an international assignment. 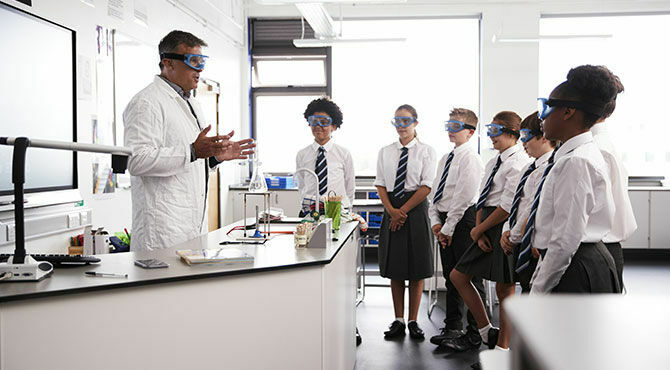 This is a unique, high-level opportunity for our corporate audience to understand the importance of education in the UK government’s industrial strategy and as an international export.You will hear the best analysis of the International Schools market from leading consultants LEK and understand how the growth in the education and schools sector can potentially lead to reducing skills gaps. Most of the conferences and education shows where schools are represented are aimed at investors, the schools’ market or the parents themselves. We believe that improving the dialogue and collaboration between schools, and higher education/further education, international employers and the suppliers that support them, is key to the growth of international organisations. Enabling employees and a future fit workforce to flourish is also critical.Come and join us and engage in the BIG conversations. Together, across the global mobility community and the wider international management market, we can make a difference and help shape the future of generations of talented young people across a multitude of industry sectors and geographical regions. COBIS school heads from around the world are warmly welcome to join us following their conference earlier in the week on 12 & May in London.The quality of education offered to international families can be exceptional and supports retention of highly-prized employees on international assignments. But it is not easy for employers to navigate their way around different curriculums and education systems. The fast growth and sheer numbers of schools can be mystifying to parents in some areas of the world, where they can’t find school places or are not eligible to apply.As an international management publication and multimedia company, we are in a unique position to drive connections that support growing economies and we will help put people at the heart of organisations for sustainable growth. Join us and share your views on the workplace of the future and your vision for young people. Highly-motivated parents want the best education possible for their child, whether they are moving to a new part of the UK or are relocating from overseas. That is why we are inviting as many schools as possible to join us. They will be able to take advantage of the facility to arrange pre-booked appointments to meet with decision-makers in global companies to understand more about their school or education consultancy and how they can support relocating families moving to their region.We want to hear from schools and education consultants who can help corporate decision-makers to meet the needs of their employees. Contact myself or Pallavi Pandey to find out more. Relocate’s Inspiring Future Careers – Best Company Initiative for Schools, HE/FE and the hotly contested School Providing Outstanding Relocation, illustrate our commitment to the education and schools sector. Stay on for the Relocate Gala Awards Dinner, toast the success of our winners, network and show your support for best practice across global mobility.Don't forget to book your Festival of Global People and Gala Awards Dinner tickets. For presentation opportunities contact Fiona Murchie, managing editor. For sponsorship contact Pallavi Pandey, International Media Sales Director.